On the back of our guide to exploring Rio with kids, readers asked us to recommend our favorite hotels in the city. Read on for writer and resident Lucy Bryson's three picks in Copacabana, Ipanema and Santa Teresa, and what to know before you book. Splurge-worthy classic overlooking Copacabana Beach. It’s eye-wateringly expensive, and cheaper rooms look out onto shabby backstreets, rather than Copacabana beach. Copacabana’s restaurants aren’t as nice as those in nearby Ipanema and Leblon. You’ll need to take a metro or cab to the best shops. The impeccable service will make the entire family feel like superstars. It’s just steps from the beach, and the hotel provides sun loungers, parasols and on-beach security. There’s a first-class spa and award-winning restaurants on site, and the large pool is immaculately clean. Designer-lover digs on Ipanema Beach; best for older kids. Balconies are tiny, and the hotel exterior is underwhelming. Prices are sky high, and reach the stratosphere during carnival and New Year’s. The high-end clientele won’t appreciate noisy toddlers, so this is better for a treat with older kids. 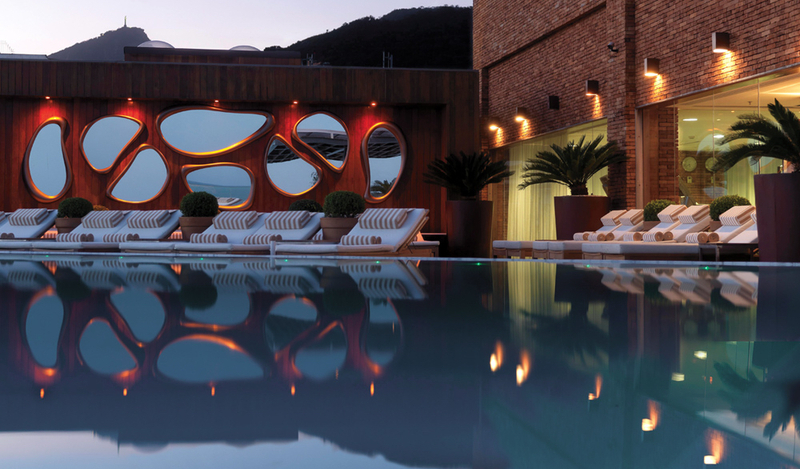 The rooftop infinity pool has amazing views over Ipanema beach (the location is perfect for beachgoers), and the poolside bar serves delicious fruit cocktails and juices. The Phillipe Starck–designed interiors have fun touches such as a giant tree at reception and candy-striped armchairs in the corridors, and there are free flip flops for every guest. Affordable option in boho Santa Teresa, with a quiet pool and huge rooms. It’s a cab ride to and from the beaches, and some cab drivers grumble about making the steep ascent up to Santa Teresa. It’s not safe to wander the quiet, dark streets around the hotel after dark. Many local restaurants and bars are closed on Mondays and Tuesdays. This French-owned boutique hotel offers personalized service and Parisian chic, at more affordable prices than beachfront hotels. The pool, set in gorgeous tropical gardens, is a great place to hang out after a day of sightseeing and beach hopping. Santa Teresa has some of the best independent shops, bars and restaurants in Rio. In Santa Teresa, try Hotel Santa Teresa and Quinta Azul. 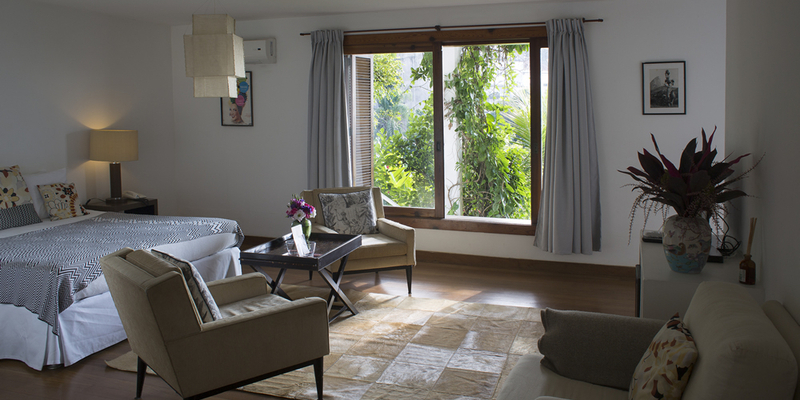 A quick cab ride from Leblon/Ipanema is a French-owned boutique pousada, La Suite, in a little gated hillside neighborhood. There are two pools, including an amazing infinity pool looking out over the water, and a quiet beach almost next door.